How do you decide which crypto you want to invest in? With the many ICO’s out there, it’s easy to get confused. Consider this – studies state that as many as 80% of ICO’s are scams, and as an investor, you wouldn’t have it easy. Cryptocurrency rose to prominence in the last decade as more and more people are opening up to the idea of shifting their financial businesses online. Digital currency can be exclusively accessed via the Internet and eliminates the need for cash. While it is still not the most widely accepted mode of payment, it has spread to all parts of the world. 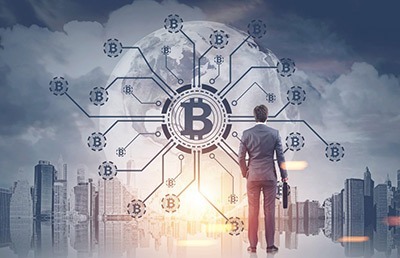 The number of users is increasing with each day because Blockchain has been established as a trustworthy piece of technology when it comes to transactions. However, cryptocurrency is now facing the problem that is common among rising businesses. The number of scams related to digital currency is rising at an alarming rate. According to the Watchdogs, most cryptocurrency scams have found an innovate way to lure customers. They are using images of popular celebrities and influencers to attract the attention of more people. One more way they are trying to trick users of cryptocurrency is associating themselves with an upmarket London address. Most people begin to trust these scams based on the respectable address they are providing and become vulnerable. The scams then plot elaborate methods to make people part with their money. To make sure that the ruse is complete, scammers design a professional website which users are directed to when they click on a link. The Financial Conduct Authority of Britain has issued this warning twice now. The first one was posted in June, and now they have reposted it on the FCA’s website again. Digital currencies like Ether and Bitcoin are not bound by strict regulations in Britain. As a result, the scammers are getting away with their actions. The FCA has been receiving complaints from common people who have been tricked into being a part of investment scams in the hope of getting high returns. Consumers in the UK are a major target of these scams because of the absence of security. Moreover, users cannot even get their money back because the scammers and their companies are unregulated. If you have collected a large amount of cryptocurrency, and find it a convenient method of payment, then you need to be on your guard. Do your research before trusting anybody. Scammers will try to trick you into doing things with your money that you are going to regret later if you are not careful from now on.